This is a series of messages from an extraterrestrial entity named Ashtar, purportedly transmitted via 'automatic writing.' Ashtar was apparently channeled by Ethel P. Hill, an early UFO contactee. 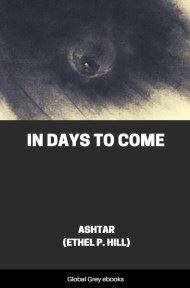 Ashtar claims to be the commander of a vast army of spacemen. He is also a believer in Christianity apparently. Whether this is the same Ashtar who took over the airwaves of a British TV station in the 70's, I don't know. As spiritual pioneers of the New Age, there are many things to consider. 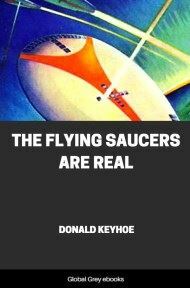 Certainly the coming of the so-called Flying Saucers is a momentous "sign of the times," and the attitude taken towards them is an unmistakable measuring rod of your intelligence and spiritual status. 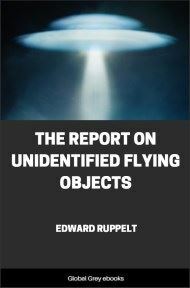 People interested in Flying Saucers fall into three categories—those who are indifferent to the whole matter, those who are interested only in the physical aspects, who pride themselves on their "scientific attitude," but close their mind to every evidence not in keeping with their own theories, and those who "believe" in Flying Saucers and the possibility of communication with Spacemen. Among the latter we find some, it is true, who are mentally not capable of weighing evidence and the nature of various reports and "believe" everybody who claims to have made a contact with Spacemen and every wild story. Naturally such people are ridiculed by the more "sober minded," who reserve judgment until they find some evidence for acceptance. On the other hand, is he who senses the tremendous import of Flying Saucers any less intelligent than he who point blank refuses to even consider the possibility of higher worlds and communications with Spacemen through extrasensory perception? Extrasensory perception is now scientifically proven, established by Prof. Rhine of Duke University. And why shouldn't' beings from Outer Space, more advanced in this sort of thing, communicate with receptive individuals here on earth? Now, a high degree of development of both intelligence and extrasensory perception is of course, ideal, but the lack of the former is no more regrettable than the lack of the latter. As to "men of science," they must necessarily have highly trained minds, but they may be utterly lacking in extrasensory perception or any sort of spiritual perception, which requires the unfoldment of latent, little known faculties in man. 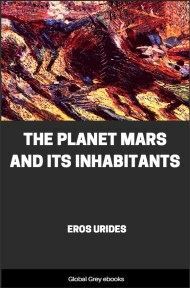 Fortunately for humanity, the number of those who intuitively feel the possibility of intercommunication between dwellers on this planet and in other worlds, is constantly growing and the biting ridicule of materialists cannot shake their faith, for the earth is moving into a new "dimension" and the requirements for the "survival of the fittest" is changing. Once it was brawn, but now it is precisely the extrasensory faculty. The life of many a soldier has been saved by a sudden "hunch." Mental telepathy will be far more common in the future and one day will be considered "standard equipment." For the present, the man or woman who has it, is far more likely to survive in these days of earthquakes, floods and bombings. For he or she who gets the "hunch" to leave a certain place before a bomb falls, before an earthquake rocks the house, or fire breaks out, has a far greater chance to survive than those who do not have such "hunches." A man may be smart enough to "get the best of the other fellow," strong as an ox, and very "practical," and have a well trained mind, but still may not be able to foresee disaster. In these perilous times, it is not necessarily the one with the biggest bank roll, or who is socially secure, and has a private bomb shelter, who will survive, but rather the one who has learned to follow hunches, who feels an inner "guidance," and remains calm. In a recent lecture Franklin Thomas pointed out that in the New Age, thoughts will be increasingly visible, and therefore deception and what is now called "hypocrisy" will be of no avail. For the present, a man or woman, who can sense the motive or feel the thoughts of another, is certainly in a much "safer" position than one who is easily fooled by a charming personality or by first class "acting." I know a man who can lie with complete assurance, look you straight in the eye, while recounting the most fantastic lies, and he fools many so-called "intelligent" people. Whole fortunes and certainly lives have been lost or ruined because someone "trusted" the wrong person. So . 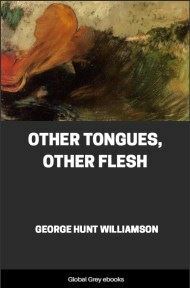 . . the possession of extrasensory perception is no longer a faculty that can be considered a rare luxury, but rather a necessity for survival. In the Bible we are told that in the last days even the elect would be deceived, if it were possible . . . Evil loves to hide itself under many different kinds of cloaks, and the most dangerous enemy is one who is skilled in perfect deception. Now, as to extrasensory perception in connection with communication with higher worlds and beings—this is, of course, the first requirement in such a relationship. A person, no matter how much and how often he may "affirm" his divine perfection, if he isn't receptive and sensitive to higher influences, will not and cannot receive any instruction from higher sources. It takes a humble and receptive mind, well disciplined and properly "attuned." And before any attempt be made to commune with higher beings, let it be said that one should first learn how to get in touch with one's own higher self, sometimes called the "guardian angel." Now here we come to an important point. 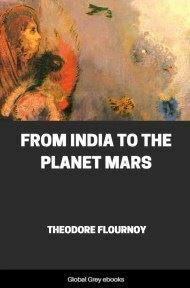 Modern metaphysics, although it has helped thousands, made them more self-reliant, positive in their thinking, intellectually mature and responsible, nevertheless has practically ignored the fact that there are beings in this universe beside ourselves, beings which the ancients sometimes called angels, and who are now being called "space men."